A puppy mill is a dog breeding facility that places the priority on profits, and little to no importance on the health and safety of its dogs. One defining aspect of a puppy mill is that they breed their female dogs each and every time they can, as often as possible. This is incredibly cruel as they need recovery time after having a litter of puppies, ideally at least one or two heat cycles before it is safe for them to have another litter. Puppy mills are also very quick to breed puppies as soon as they come into heat, which is far too young. Most puppy mills keep their dogs in cages, where they don’t have enough space to move around. The cages have wire bottoms which often harm dogs if their paws get caught, and they are left in cages with their own faeces. These poor dogs receive no socialisation, which is essential to have happy and emotionally healthy dogs. Reputable breeders will usually make every possible effort to breed the best stock because this produces the highest quality animals, encouraging demand in their puppies. Puppy mills on the other hand, have no regard for breeding quality animals, the only thing they are worried about is making a sale and as long as the puppies “look” good enough for someone to buy, that is all they are concerned about, but a myriad of problems may be lurking beneath the surface. Some people hope that by buying a puppy from a mill, they are “rescuing” the puppy, but unfortunately they are giving money to the mill, furthering the ugly cycle. The best way to make sure you aren’t buying from a mill is to go to a reputable breeder. Ask to see the puppy, as well as the mother and father and see how the mother interacts with her pups. Any reputable breeder will be proud to show you where their puppy comes from. Puppy mills are bad places for dogs as well as the people that buy dogs from them. Most people are unaware that the dog they are buying is from a puppy mill. The puppies are in poor health and will have non existent or bad socialisation skills. Signs to look out for that the puppy you are buying may be from a puppy mill. If someone always seems to have puppies for sale, this may because they are sourced from a puppy mill where the priority is on breeding and selling as many dogs as possible, with no regard for their health and well being. Be careful of dogs sold from Flea Markets and Parking Lots, this is not the best way to view and purchase a puppy. Puppy mill owners will usually request a public place to meet and do business in as they will definitely NOT want you to see the awful conditions the dogs have come from. Puppy mills will not care in the least who buys the dogs, all they want is the sale, so they will not be interested in you, your situation, where the puppy will be going and what kind of life you are planning to provide it. Since puppy mills only concern their self with profits, they don’t care who buys their puppies. Reputable breeders love their dogs and will want to make sure their puppies go to a good home. You should always, at a minimum meet the puppy’s mother, but great if you can see dad as well. 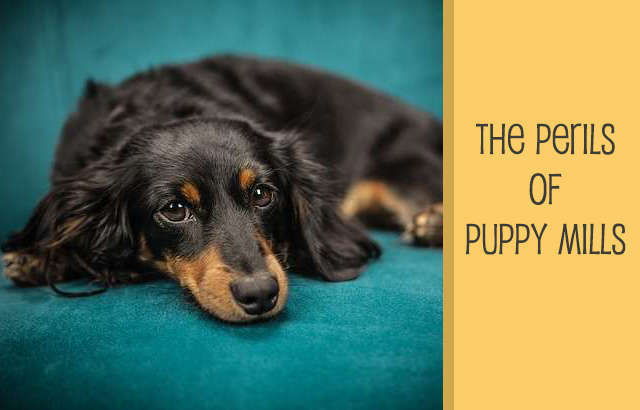 Reputable breeders encourage potential buyers to see the parents of the puppy, in order for you to see the stock they are coming from, their health and the conditions they live in. Reputable breeders will only have a few breeds at most. Be aware that if they offer many different breeds, it is most likely a puppy mill. Puppy mills aren’t worried about breeding genetically inferior dogs and most of their puppies will have genetic conditions and a myriad of health issues. Puppies from mills are born and raised in highly unhealthy and unsanitary conditions and will often show signs of hair loss and poor coat. 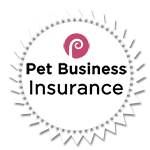 A good breeder will give you their Vet’s information, should you wish to contact them and find out what vaccinations the puppy has had. Be alarmed if they are unable or unwilling to give you that information.